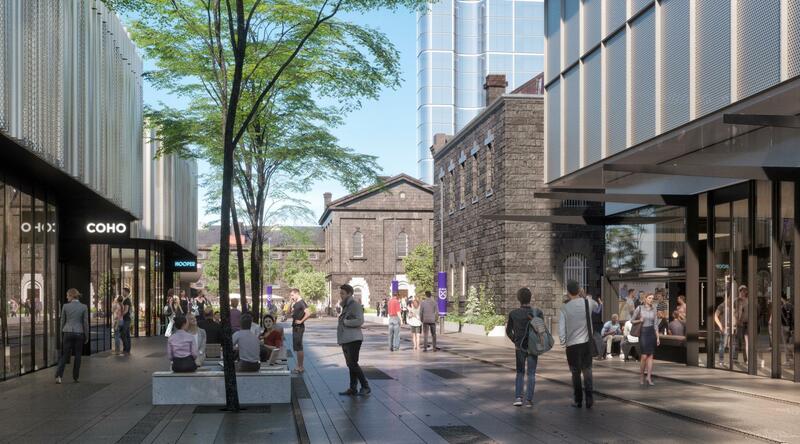 Pentridge Prison developer Shayher Group has revealed that the centre of the former prison's 6.7 hectare site will be opened to the public as a piazza for markets, community events and performances as well as a retail laneway and dining precinct. This extensive area earmarked for community use has been brought to life for the first time in a series of new artists' impressions, which show how the prison's much loved heritage elements, including bluestone cell blocks, will be integrated into modern style and modern uses like restaurants, bars and shops. 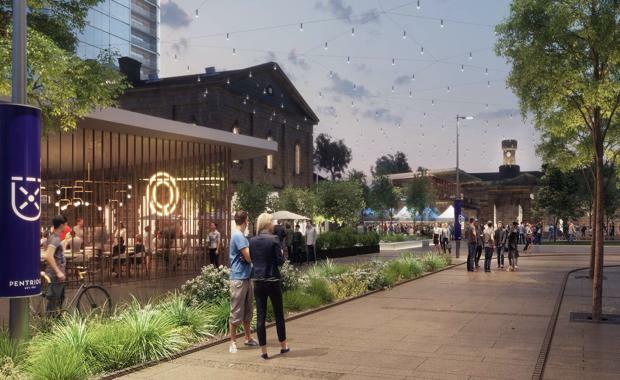 As locals enter Pentridge they will be greeted by a proposed open piazza, landscaped gardens that frame walkways and a selection of alfresco dining options envisaged to be lit by feature hanging lights at night. Shayher Group will submit two planning applications to Moreland City Council in November as well as and two heritage applications to Heritage Victoria. These application will go towards seeking permission to commence works in 2017 on this vision, which includes a two-level boutique shopping precinct, a 120-room hotel. Shayher Group project spokesman Anthony Goh said preserving the site’s heritage assets, such as the famous bluestone prison walls, was the top priority, and that high quality construction effortlessly integrates the new shopping precinct, community spaces and hotel into the site’s existing heritage assets. All prison-related operations cease in 1997 and Pentridge officially closes. Designed by Cox Architecture, the hotel aims to seamlessly blend contemporary architectural design with the property’s distinct and remarkable heritage, including B Division, which will be integrated into the hotel offering. Meanwhile, Australia’s leading boutique cinema group Palace Cinemas was named in September as the first retailer to join the 11,000 square metre shopping precinct, which will be adjacent to A Division. 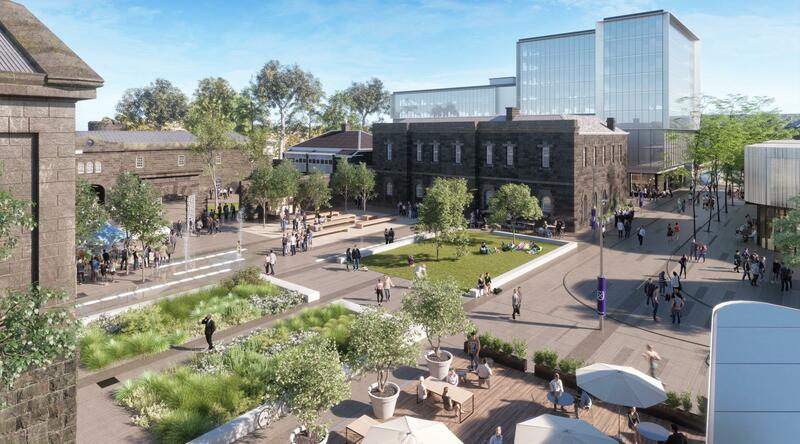 Set to shape Coburg’s vibrant, film, arts and hospitality hub, the 15 screen cinema will feature an environmentally sustainable design with a village feel. In total, the site will include 14 new buildings designed to integrate with the existing heritage, with the heart of the precinct located in the southern part of the site. “We will continue to work closely with Heritage Victoria to ensure the practical restoration of heritage buildings is in line with their history and is undertaken in a manner that will improve their condition and preserve them for future generations to enjoy,” Mr Goh said. From 2016, Shayher Group will spend approximately $2 million to restore the former jail’s seven iconic guard towers as part of several years of heritage restoration works and archaeological surveys.